falling at the firing line. into the blurred horizon line. tall upholding his stained sword. Top: Picasso, Guernica. 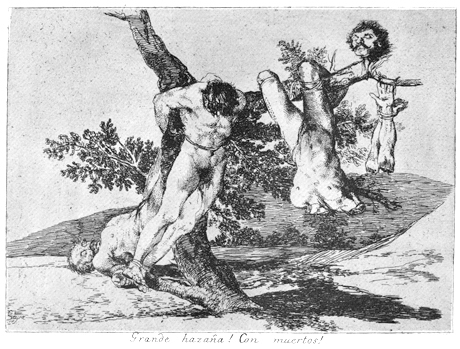 Below: Goya, Disasters of War.